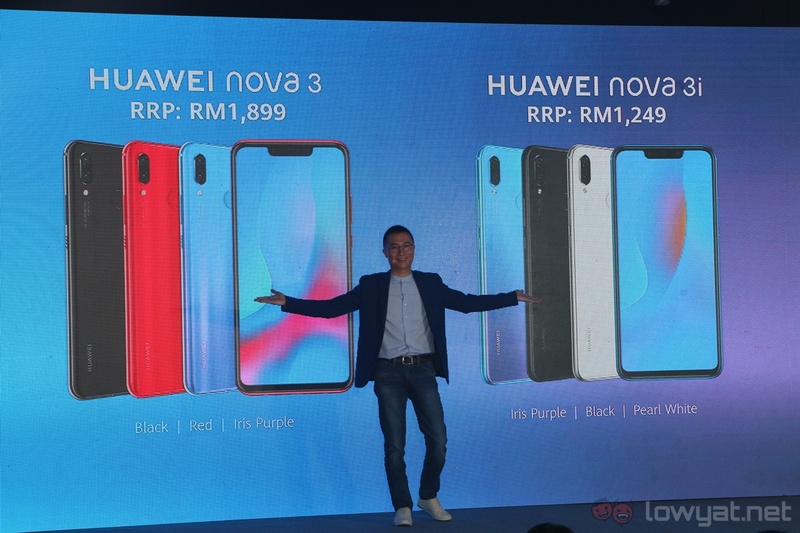 The new Huawei Nova 3 series is now in Malaysia, and they’re genuinely much more impressive than their predecessors. 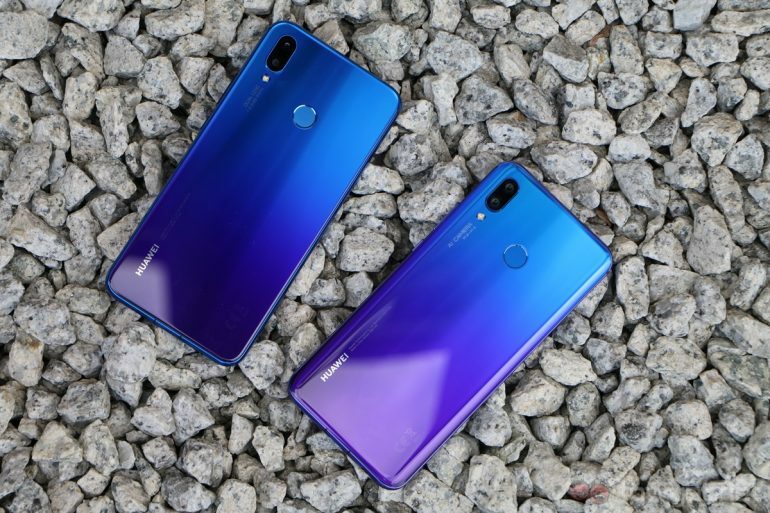 This is especially true for the Nova 3: not only does it run on Huawei’s flagship Kirin 970 chipset, the front-facing cameras are also paired with an infrared sensor. This allows the Face Unlock feature to work even in dark environments. All of these features are packaged in a mid-range smartphone, which make the Nova 3 that much more impressive. Nonetheless, here’s our first impressions of the new Nova 3 series – including the more affordable Nova 3i. 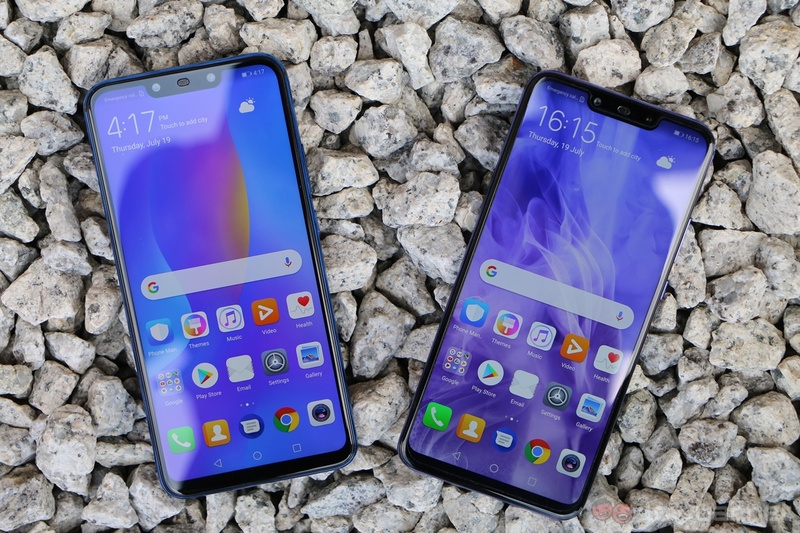 The Huawei Nova 3i (left) and Nova 3. Let’s start with specifications. The higher-end Nova 3 features a 6.3-inch Full HD+ LTPS display, a Kirin 970 chipset paired with 6GB of RAM, 128GB of expandable storage, and a 3,750mAh battery. 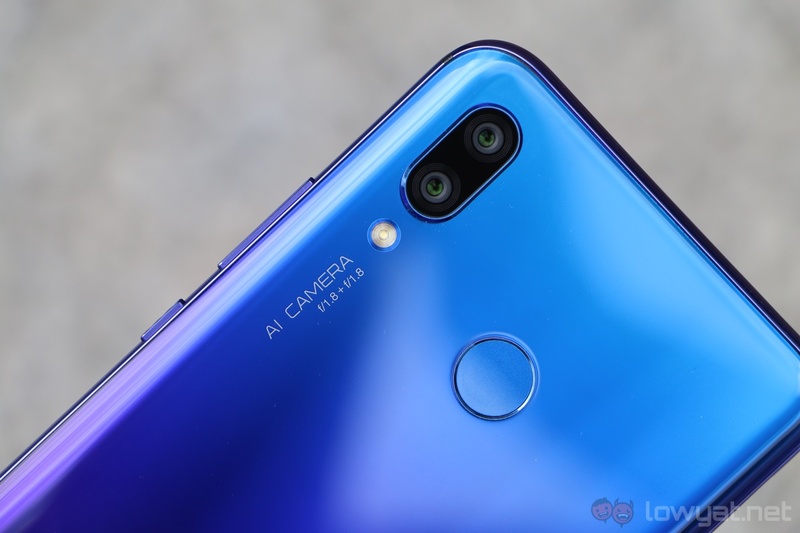 It also sports a 16MP RGB + 20MP monochrome dual-camera system on the back, and two front-facing shooters (24MP and 2MP) with an infrared sensor for a more sophisticated Face Unlock feature. 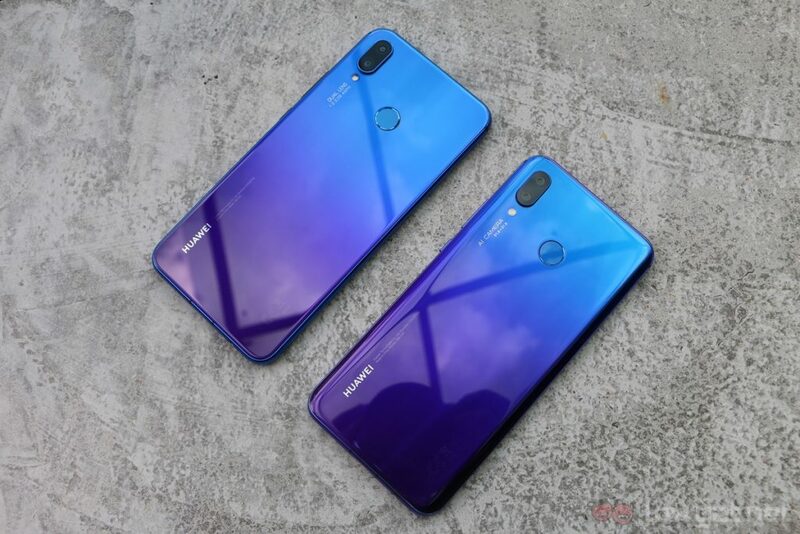 As for the Nova 3i, it has the same design and display, but it comes with Huawei’s new Kirin 710 chipset instead – supposedly on par with Qualcomm’s Snapdragon 660 SoC – 4GB of RAM, 128GB of expandable storage, and a 3,340mAh battery. In the camera department, it features 16MP + 2MP cameras on the back, and 24MP + 2MP shooters on the front. 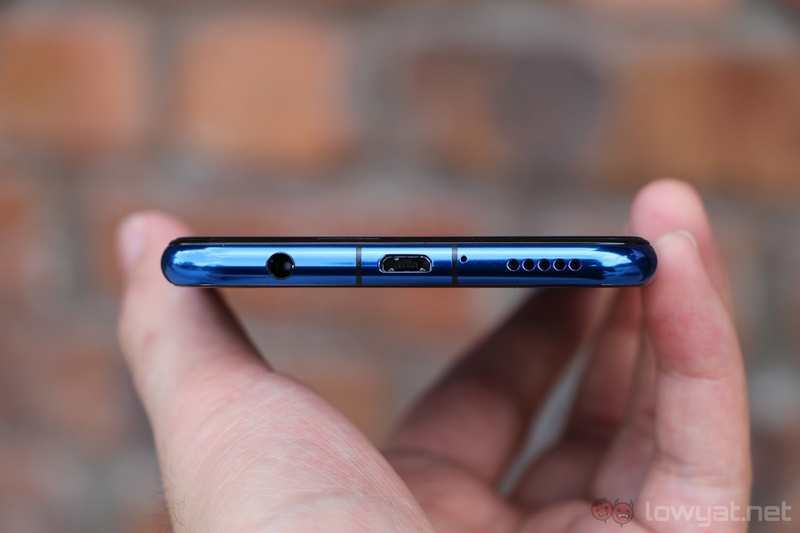 No, the Nova 3i does not have an infrared sensor on the front like the Nova 3, but it does support Face Unlock regardless. The Nova 3i only has a microUSB port. While the Nova 3 has a Type-C port. Now that we’ve got that out of the way, let’s start with design: the Nova 3 and Nova 3i are very good-looking devices. 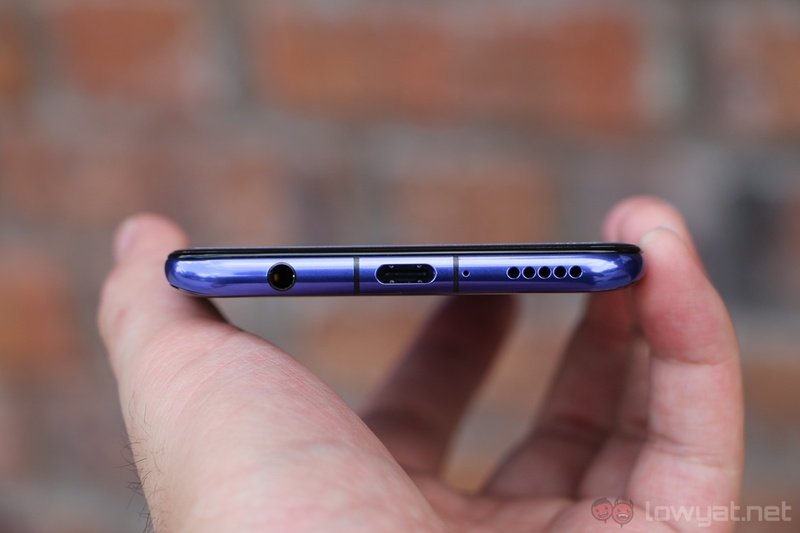 The new Iris Purple colourway is especially stunning, which looks pretty similar to the Twilight Huawei P20 Pro. In fact, I’d argue there are no mid-range phones that look as unique as these new Nova phones right now. As for ergonomics, the Nova 3 definitely feels better in my hands, thanks to its dual-curved rear glass panel. 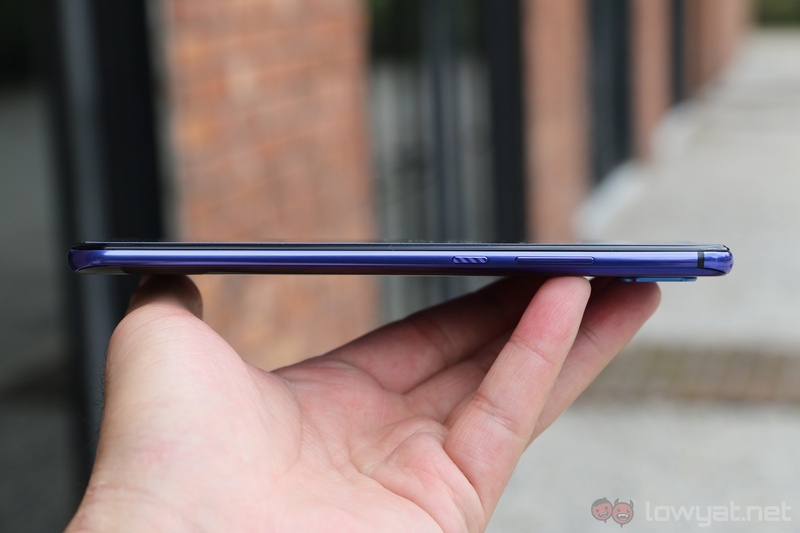 The Nova 3i, on the other hand, feels more…flat, for the lack of a better term. 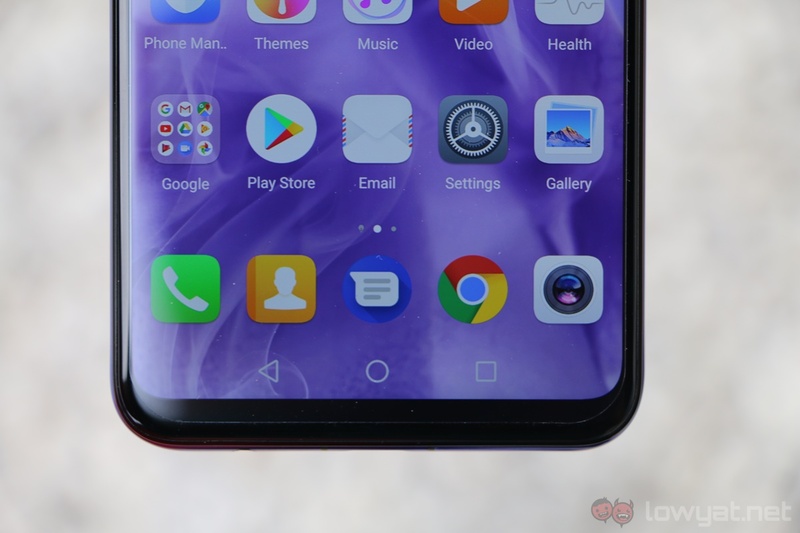 It still feels solid, of course, but the Nova 3 just feels more premium – and rightly so, because it is the more costly device. Note the flat glass back on the Nova 3i (left). Aside from that, I’m quite a fan of the tiny bottom bezels of both phones too. 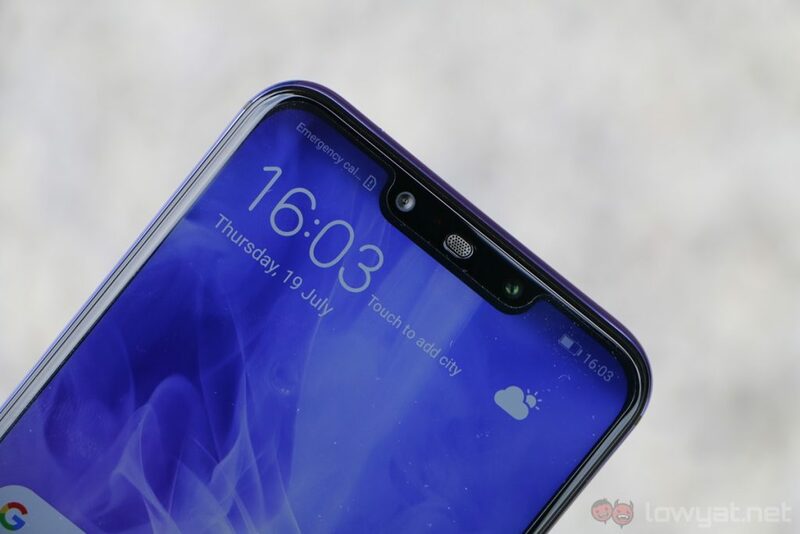 Definitely an improvement over the P20 phones, which have thicker bezels to accommodate their front-facing fingerprint sensors. Performance-wise, both the Nova 3 and Nova 3i feel fast and zippy. 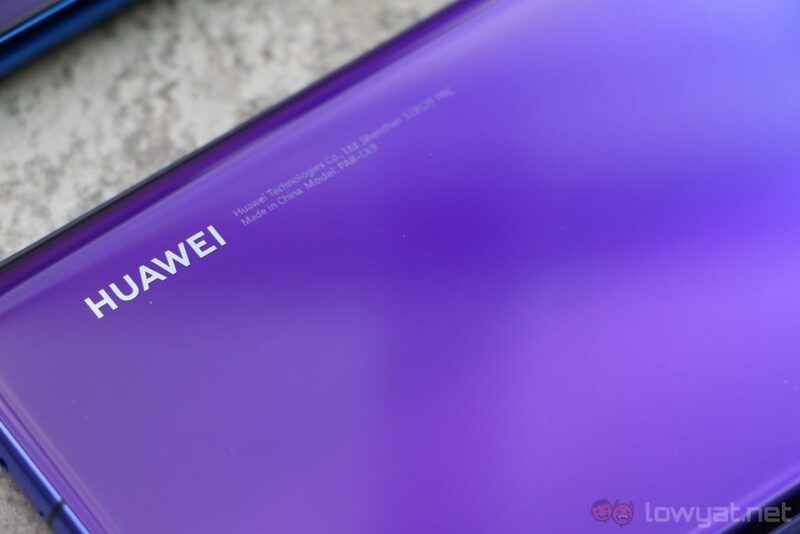 That goes without saying for the Nova 3, of course, and this should be applicable to the Nova 3i too – especially if the Kirin 710 chipset is as good as Huawei claims it to be. As far as first impressions go, I’m confident performance won’t be an issue with either one of these phones. And then we have camera performance, and it’s immediately noticeable just how different these two phones are. 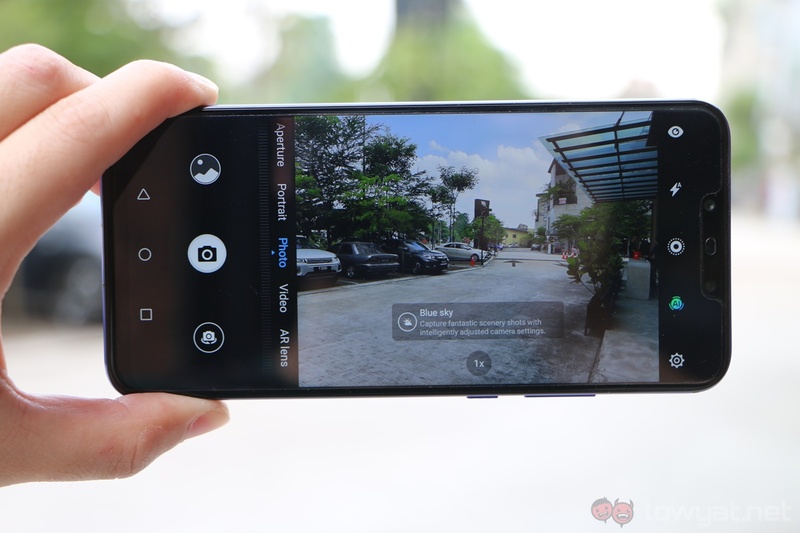 The Nova 3 can take flattering, sharp images, and the camera interface feels responsive enough as well. This somewhat applies to the more affordable Nova 3i too, but…well, it’s not in the same league as the Nova 3. While I can still take good-looking shots with the Nova 3i, they don’t look as impressive as images taken with the Nova 3. After all, the 3i only has a 16MP + 2MP dual-camera system, compared to the Nova 3’s more impressive 16MP + 20MP rear cameras. But considering just how affordable the Nova 3i is compared to the Nova 3, these differences are to be expected. the Nova 3i retails at only RM1,249, while the Nova 3 commands a RM1,899 price tag – that’s RM650 difference. While this is a pretty large price gap, you are getting what you pay for with the Nova 3. 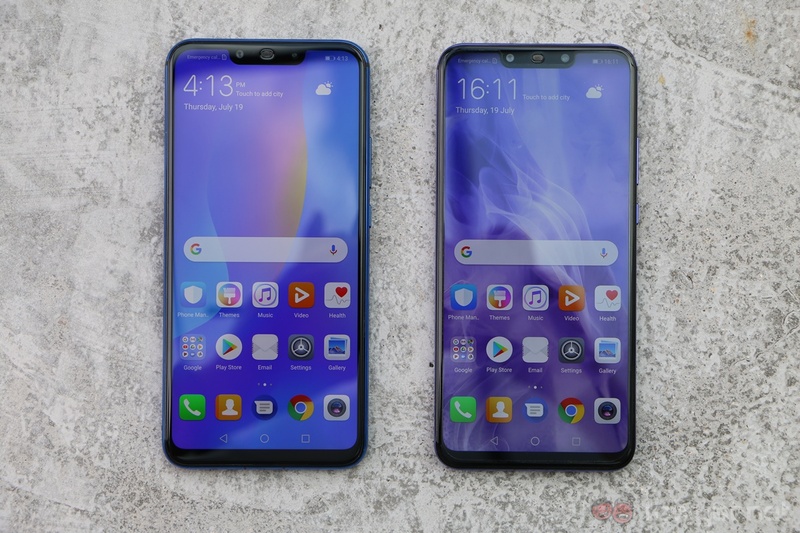 The Huawei Nova 3 and Nova 3i are probably the Chinese company’s most impressive mid-range smartphones yet. They’re fast, they have quite promising camera performance, and they’re probably the most unique-looking mid-range devices in the market now. The gradient glass back just looks so mesmerising.